If you missed out on exploring the mysterious darkness of Bright Falls the first time around, here's your second chance. Remedy Entertainment's action-thriller Alan Wake is finally arriving on the PC this month, over a year and a half after it originally released for the Xbox 360 in May of 2010. The game will be available for purchase on February 16th on Steam, with a release on other digital distribution networks like EA's Origins shortly afterwards. A boxed retail version of the game has also been announced, but no ship date has been set. The game will cost $30 USD on Steam in a package deal that'll include all of its DLC content, and a Limited Collector's Edition will be available for a few dollars more at $35 USD. There's no word on specifically what the Collector's Edition will include, but if it's anything like the Xbox version, it'll come with an official strategy guide and behind-the-scenes content. The PC version of Alan Wake has received a full graphical overhaul with high-res textures, will support multiple screens, and users with a quad-core CPU will some extra visual punch with the game's new multi-threaded engine. 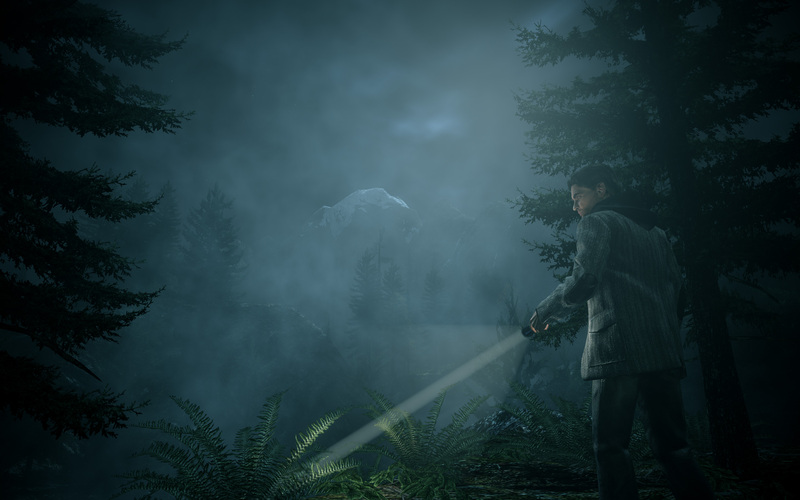 Alan Wake will also supports both Nvidia's and AMD Eyefinity 3D's settings, along with customizable keyboard/mouse controls or if you prefer to keep things simple, a Microsoft Gamepad. For those who don't quite recall, Alan Wake is a psychological thriller about best-selling author Alan Wake, and the dark secrets he encounters while vacationing with his wife in the town of Bright Falls. The game received high marks for its imposing atmosphere and complex combat, and has also been nominated for numerous awards for its story and and sound design. While a full sequel has yet to be announced, an XBLA spin-off titled Alan Wake's American Nightmare is also set to arrive later this month on February 22nd.